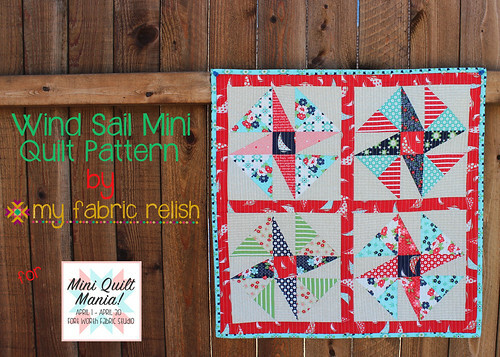 my fabric relish: Urban Spools NEEDS Your Vote! Happy Wednesday! I am blogging from the awesome Urban Spools today while I am in between my two classes. 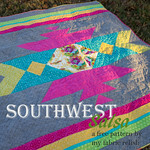 I already taught a three part beginners class this morning, then I have a speed quilting class tonight! My wonderful mom is collecting the relishes from school for me so I am able to hang out in a quilt shop/sewing lounge all afternoon left to my own devices. Hopefully I don't spend my wages earned today. hehe! 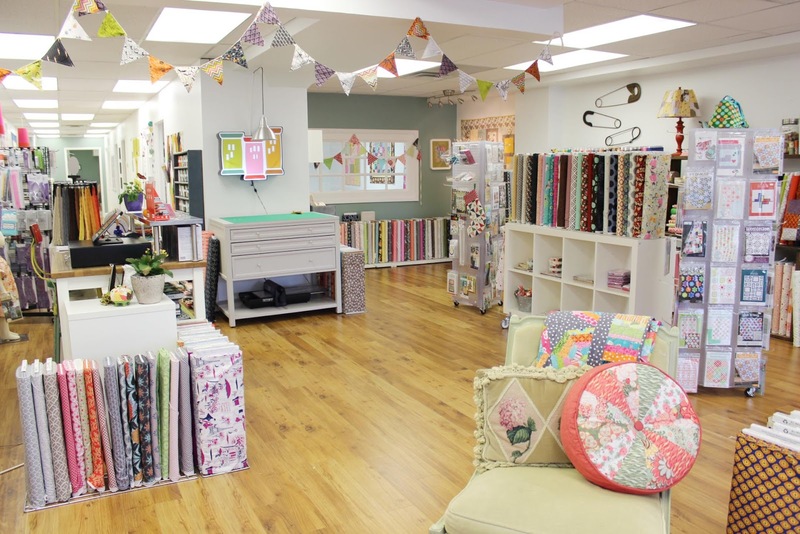 So the reason I am blogging at the shop today is because I wanted to share with you more about this amazing little place, the woman behind it, and how you ALL could help us out! 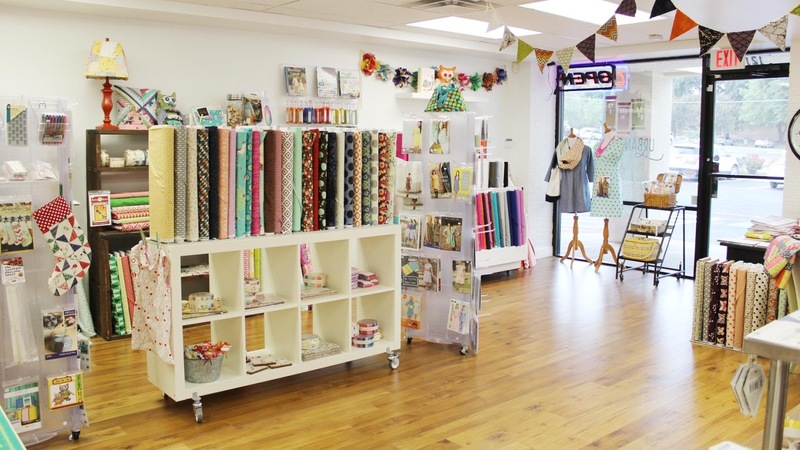 Michelle , the owner, is fantastic quilter, savvy business owner and just an overall pleasure to be around to talk fabric, quilting and just about anything! I usually only teach three hour classes but I am all day, because I just can't seem to leave. 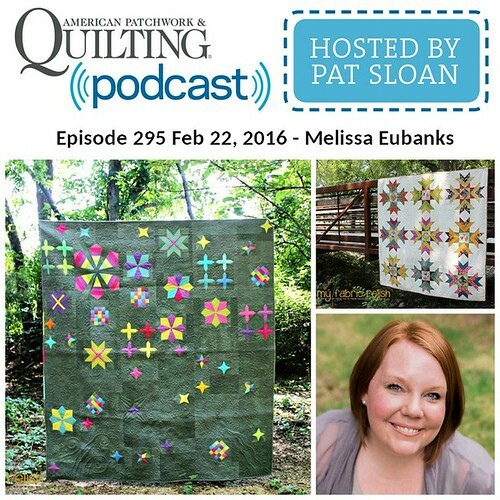 Michelle, like me, loves to teach sewing and quilting and really emphasizes that with how she operates her business. 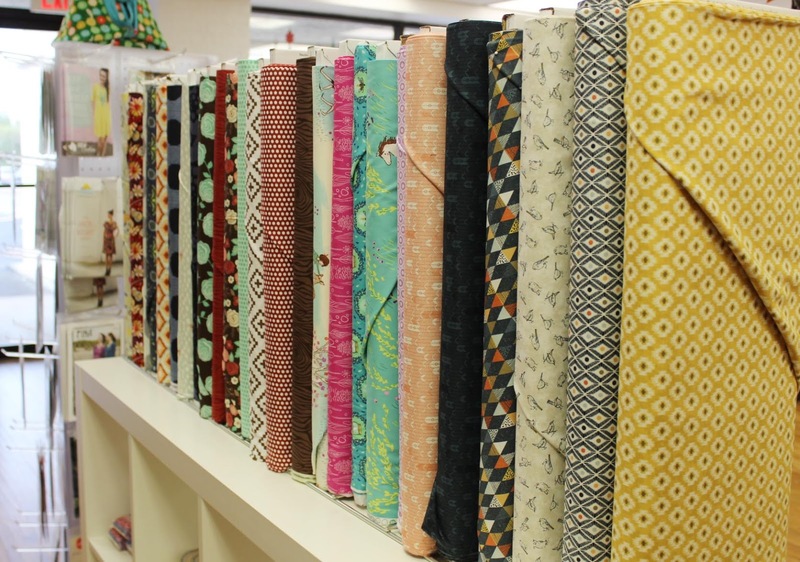 When I first started teaching here, Michelle was just starting to build up her front shop with fabrics, notions and patterns, but today, as you can see, she has filled it to the brim! 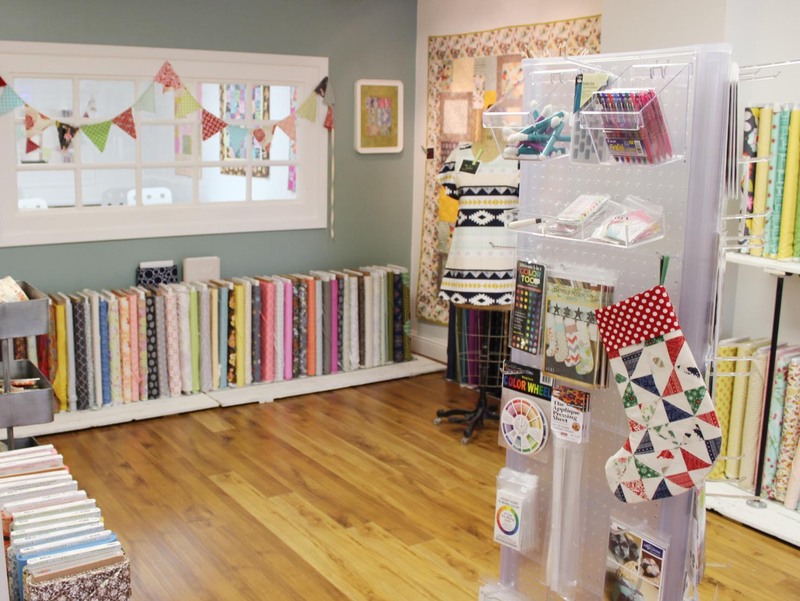 Michelle has a knack for finding the perfect and most sought after notions and patterns. That goes with fabrics as well. Lets just say, I hardly ever leave here empty handed! 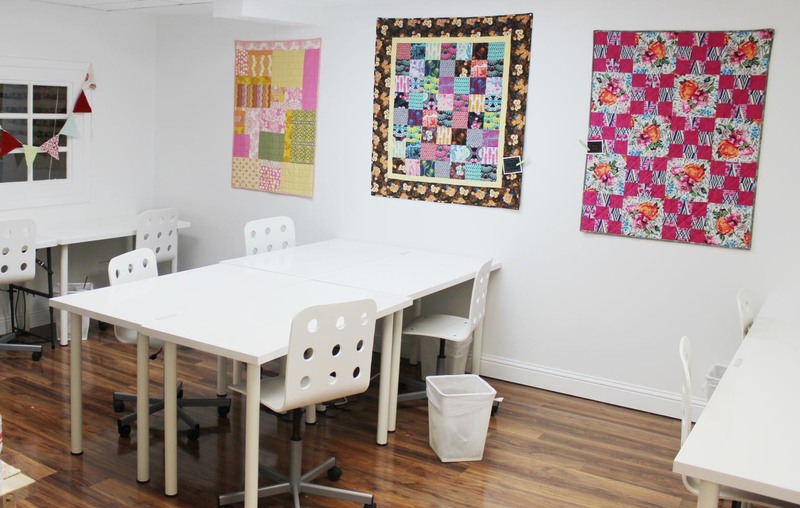 In addition to the shop space, Urban Spools has one room that is a dedicated class space with lots of tables, chairs, and power outlets!!!! 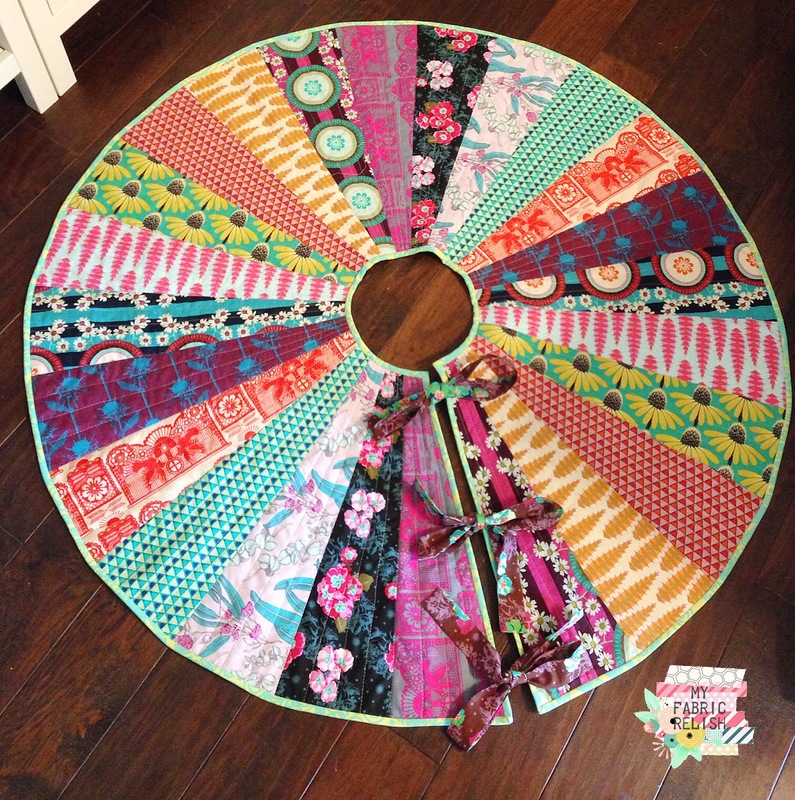 Perfect for learning or even just gathering with your other sewing friends for a sewing day. 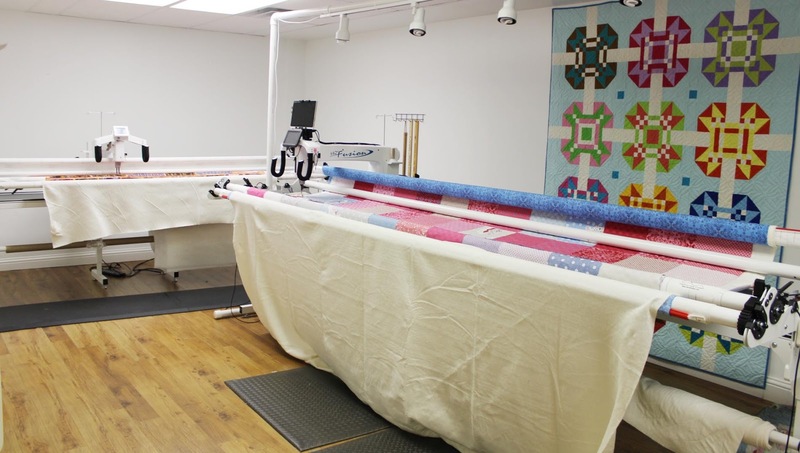 Urban Spools is also longarm service and Michelle does all the longarm work herself! She has two longarm machines that are usually always stitching away. 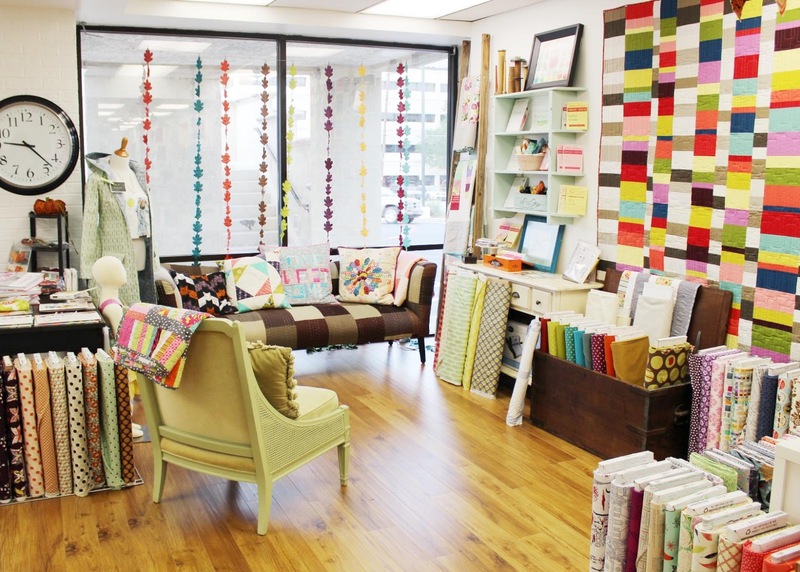 And in case you didn't already know this, Urban Spools is also a Handi Quilter Dealer! 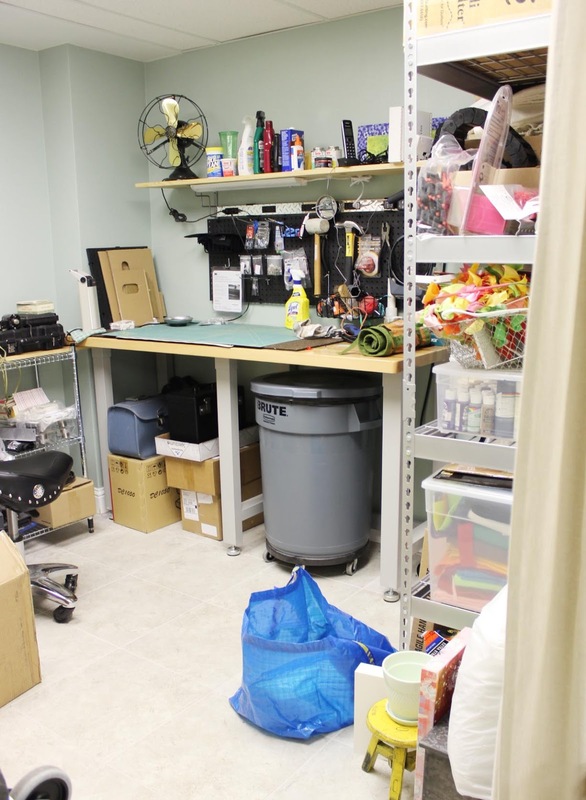 In the back, there is a kitchen and storage/machine repair area. You see, Michelle's husband is also in on all the fun repairing all those Handi Quilters. 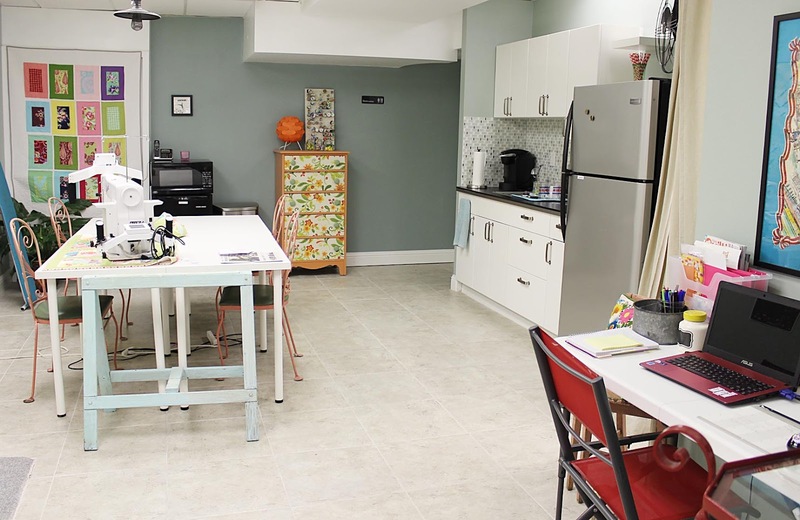 If we have more than one class going, one class usually happens in the Kitchen area. Just this past Saturday, we had three classes going and one class was in the hall! 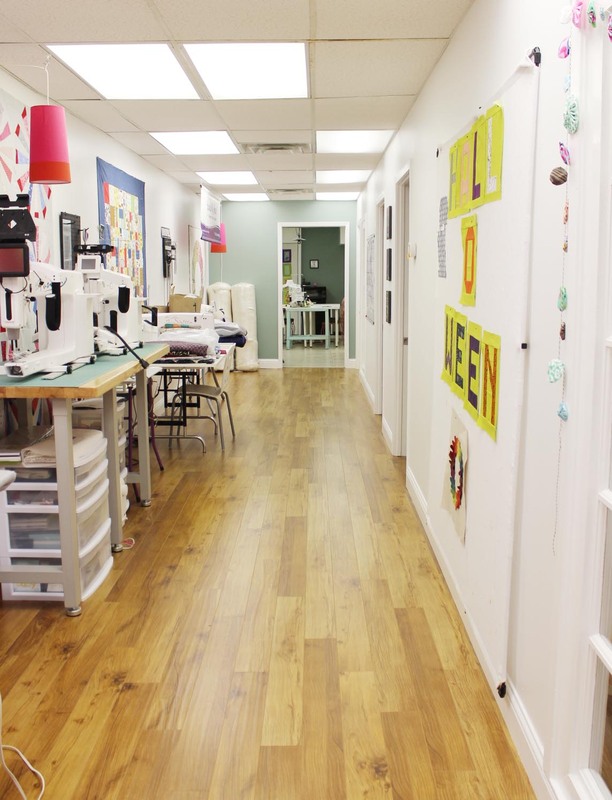 As you can see, Urban Spools is getting a little cramped and Michelle would love to expand again with more classroom and shop space and even room for additional longarms! 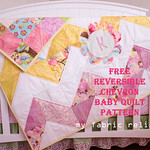 Wouldn't it be fun to spend all day renting a longarm!?! So, this is where you come in and can help! In our community, Chase Bank has a program to help small business, like Urban Spools, called Mission Main Street where Chase Bank gives 20 local small business a $150,000 grant to help improve their business. Awesome, huh!! Well, in order to be considered for this grant, Urban Spools needs 250 votes! We are so close but we don't have much time left! So, if you have less than 30 seconds, please click this link and vote!!! Thanks so much for reading and taking the time to vote! 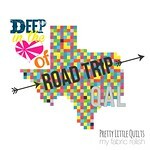 If you are ever in the Dallas area, please look us up! You will not be disappointed! In case you missed it, here is the link to vote ----- VOTE! Thanks so much and if you have another few seconds, please leave me a comment that you voted so I can personally thank you!! I voted. Also recorded the contact info. Just returned from a 3 week visit with grand daughter. She lives in Dallas so next visit, I'll check out Urban Spools. I voted from Flower Mound, Texas! that was easy and yipee she has 263 votes now. Looks like a wonderful shop both to learn and spend! Voted! You are at 268 votes now! Would love to visit this darling shop one day... Thanks for the review Melissa. I enjoyed the tour of that CUTE shop ! I voted from Comanche, Texas.....Good luck ! I wish that shop was near me. I voted hopefully not to late.